Playing around with Maya some more. 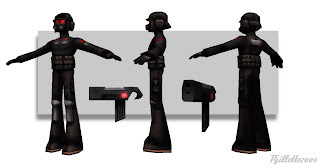 Generic foot soldier, modeled for Nintendo DS. Are you available for commission work?